With all of the great bookstores, publishers, authors, and writing programs in the Twin Cities, most of us aren’t surprised that Minneapolis and St. Paul are repeatedly ranked as some of the most literate cities in the country. As part of the literary culture, there are plenty of conventions and conferences in Minnesota where you can learn about writing and publishing, see authors speak, and more—and here’s your list for 2017! 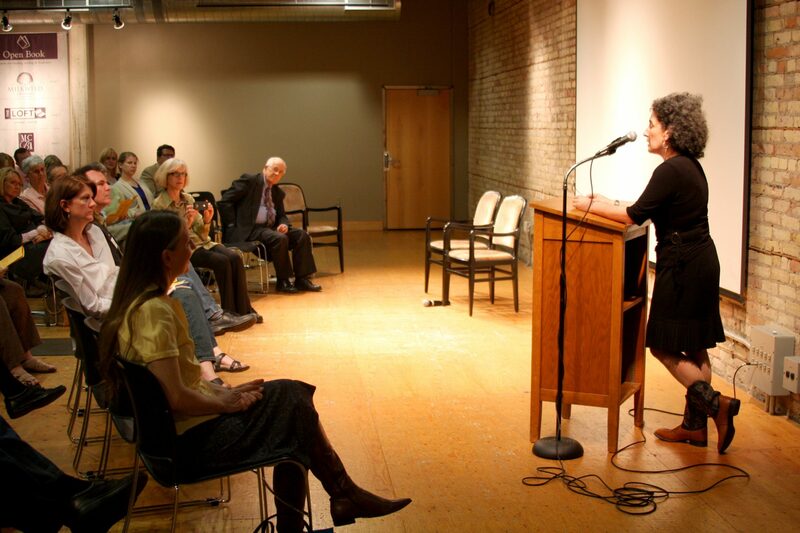 Minnesota author Danielle Sosin reads to an audience at Open Book in 2012. Some of these events are specifically aimed at improving your writing or finding a publisher; others involve authors and literature as part of a wider range of activities. The best thing to do is to check out each event’s website to get a feel for what it offers. So, will you be hitting any of these events this year? Is there anything you think is missing from this list? Let us know in the comments!